Cut through the noise and ensure your company’s complete compliance by following the tips below. As of late, the General Data Protection Regulation, (GDPR), has been all any business has been able to focus on. It has been in effect for just shy of two months now and is a strict set of rules which mandate robust, tough data protection for everyone within the EU. It has caused a real rush of planning and organisation where businesses have had to make big changes to become compliant with these laws, in doing so, avoiding hefty fines and subsequent reputational damage. Tying each of the below points together into one solution, is the right compliance solution. At Kaseya, we offer a wide range of solutions which address the new GDPR and are integrated solutions tailored to each business’s needs. Our suite of IT Complete solutions helps to keep your organisation safe, secure and compliant. A gap analysis is a useful way to show exactly where your organisation is already in compliance, revealing existing compliance programme trends within the company as well as highlighting which areas need work and steps that must be taken to ensure complete adherence. This analysis can provide the foundation for a complete compliance assessment and ultimately, a compliance plan. The compliance plan will define what is good and working, and will also recommend specific improvements. Examples of shadow IT include Dropbox, Skype and Evernote, which are applications, systems and hardware that are used by individuals without company support or sanction. They pose significant compliance risks. If an individual is using a system that you don’t know about, to store or transfer data that comes under GDPR, this puts the company at risk of a breach. Internal policy should be clearly communicated throughout the organisation, as well as keeping a record of doing so. Employees should continuously be educated to be aware that they should not be using these systems without company approval. To manually perform every IT task required to achieve full compliance would be incredibly hard and open to human error, and in some cases, even impossible due to the sheer size of the organisation. Automation of these IT tasks is critical to ensure that they are all completed correctly. Automation is the right platform to complete repeatable processes efficiently and makes sure that updates, patches, etc. are applied to all devices, tracked and reported on. This provides greater security and ensures the easier maintenance of GDPR networking. Remote Monitoring and Management (RMM) solutions are a critical compliance tool. This enables admins to consistently monitor and remediate applications, workstations, servers and remote devices. It’s important to implement the right RMM solution for your environment to ensure that IT professionals are informed should issues arise or in case there is a change in the system status which could indicate a potential breach. RMM systems also have the potential to automate common security related IT tasks, reporting them when completed. To properly prevent cyber-attacks and data breaches whilst simultaneously proving compliance requires the addition of patch management. A patch management solution should automatically update servers, remote computers and workstations with software and patches, which can also include operating system fixes. This is a crucial yet challenging task for those that rely on manual IT means, so automation of patch management is a simple, efficient way of ensuring this is carried out correctly. To completely ensure full GDPR compliance, all endpoints must be protected, and that protection must always be up to date. The right protection deployed across your entire system will maximise defences against malicious software and will work to eliminate any incursions that lead to damaging data breaches. These solutions are packed full of robust, network protecting features, can spot threats early, and can be automated to install security updates throughout your infrastructure. Single sign-on (SSO), two-factor (2FA) and multi-factor authentication (MFA) are each a key tool in controlling who has access to data on your network, and perfect for monitoring and securing confidential documents and information. MFA and 2FA means the end user has to verify their identity in two to several different ways before being granted access. IAM includes centralised credential management, policy-based rules and SSO for end users, which has the potential to keep all internal systems compliant. Each of these are crucial tools in access management which work to keep your entire network compliant. Mobile devices are often overlooked in the world of GDPR compliance but in fact, they should be as compliant as their desktop counterparts. Applications can have offline functions which means that any data transferred via that app, will also be stored locally on the device which can fall outside of your network’s security, breaching your GDPR guidelines and leaving this data at risk. This means that all apps, both supported and shadowed, should be reviewed regularly to minimise risk. Any type of device that is lost, or stolen, should be decommissioned immediately to prevent anyone else from procuring confidential company data through it. The same policy should apply to equipment belonging to ex-employees, particularly when an employee has been terminated. There should be a protocol put in place where your IT department can quickly and completely deactivate a user, removing all their permissions to the network. Another part of the decommissioning process is that of data destruction, the correct WEEE protocols must be followed to make sure the data is fully destroyed and untraceable. 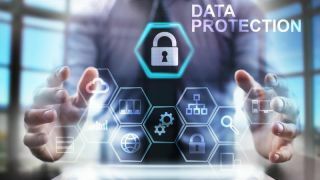 Finally, it is crucial to stay up to date with changes in GDPR to ensure your constant compliance, once the initial changes have been made, the maintenance is generally not as demanding.